This image was shot at Huangshan, also known as the Yellow Mountain. Huangshan is a mountain range in the south-east of China. The remarkable landscape is known for its granite peaks, hot springs, pine trees, and oceans of low hanging clouds. 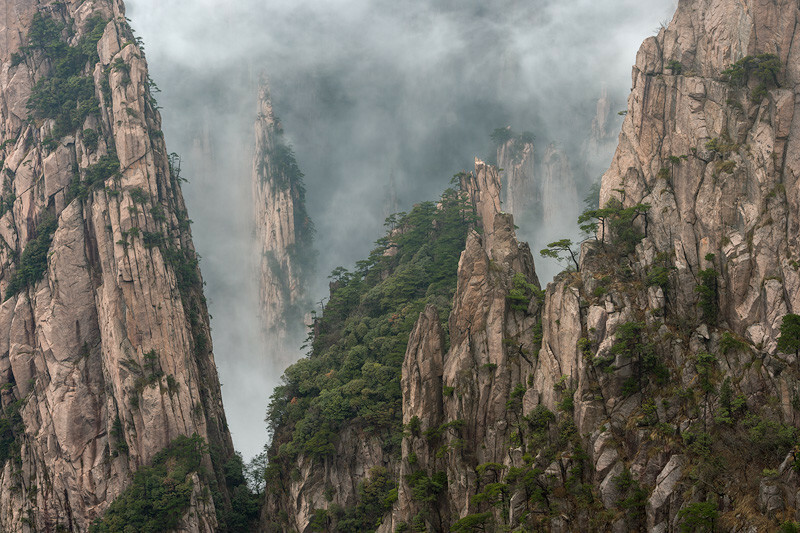 Huangshan is a frequent subject of traditional Chinese paintings and literature, and it's not hard to see why. It is also a UNESCO World Heritage Site, and a famous place for high quality tea. The valley in this image is filled with natural areas named after China's mythological dragons.